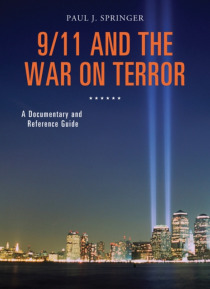 9/11 and the War on Terror: A Documentary and Reference Guide provides readers with a rare opportunity to read and examine a variety of primary documents related to the September 11, 2001 attacks and the larger War on Terror-both in the United States and globally. Thematically organized into chapters, each document comes with an introduction and analysis written by an expert in the field that supp… lies the crucial historical background for the users of this title to learn about the complexities of the global War on Terror. This book showcases key primary documents that follow the trajectory of events of the 9/11 attacks and the subsequent War on Terror. Through the examination of various types of documents-such as speeches, diplomatic exchanges, military communications, and government reports-issued by opposing sides in the global conflict, readers will gain valuable insight into how these primary sources influenced the 21st-century world. Each primary source is prefaced by an introduction and followed by an analysis written by a scholar specializing in the field. The accompanying analyses enable readers to better gauge the role of diplomacy, military strategy, national security concerns, and ideological propaganda in the global War on Terror.